Dynamic pressure relief mattresses are the best option for patients at high risk of pressure sores, but these systems can often be expensive and overly complicated. 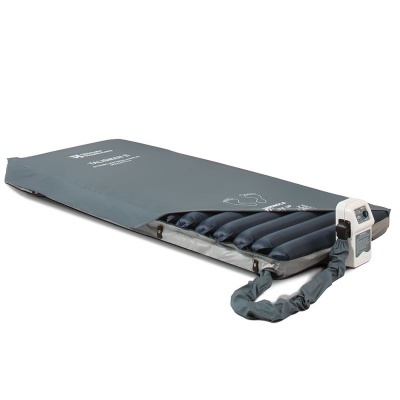 The Talisman II Alternating Pressure Relief Mattress Overlay is a dynamic alternating mattress overlay with simple and intuitive controls, making it perfect for a wide range of care environments. Using small 4" cells and a dynamic two-cell cycle, this overlay allows carers to provide comfortable and complete care to patients at high risk of pressure sores. 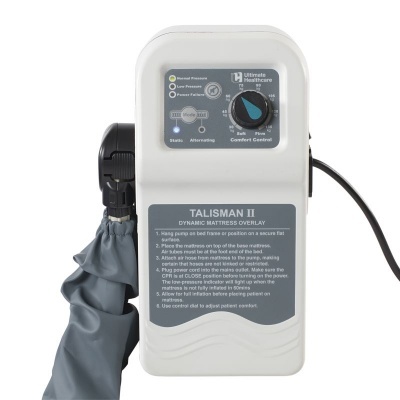 Using a two-cell cycle, the Talisman II Overlay works to optimise dynamic pressure relief, enabling it to provide a fantastic level of pressure reduction suitable for patients at high risk of pressure ulcers. To further tailor the overlay to the patient's needs, comfort control is built-in, enabling nursing staff to adjust pressures to enhance comfort while maintaining effective pressure relief. Static head cells help to maximise patient stability, making it easier for the overlay to reduce pressure. Alongside this, the mattress overlay also features elastic securing straps, enabling it to be secured to a mattress for stable use. 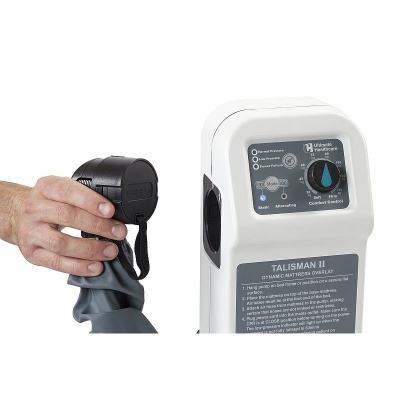 To help medical practitioners provide the best level of care possible, the Talisman II Overlay has been developed to be incredibly easy to use. A simple control panel enables you to set up the system easily and efficiently, ensuring patients can be fully supported. The system features a built-in timed static mode, enabling essential nursing procedures to be carried out while still ensuring that the mattress returns to dynamic mode afterwards. Additionally, a CPR mode rapidly deflates the mattress in emergency situations, enabling CPR to be performed as quickly as possible. To ensure that pressure relief is continually provided, the system features a series of audio and visual alarms to alert caregivers in case of a loss of pressure or a power failure. 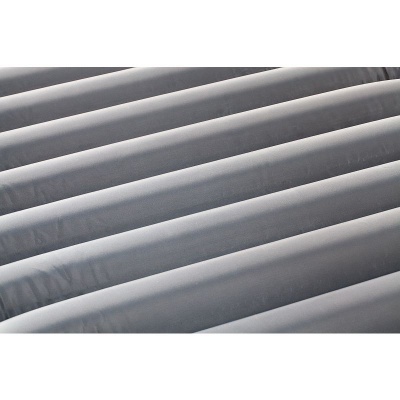 Helping you ensure that the mattress is protected from fluid ingress and damage, it is supplied with a waterproof, vapour-permeable stitched cover. Enclosed zips and welded seams help to prevent fluid ingress and further reduce the risk of contamination – vital for compliance with infection control standards. The air feed tubing is integrated and covered, further reducing the chance of fluid ingress. 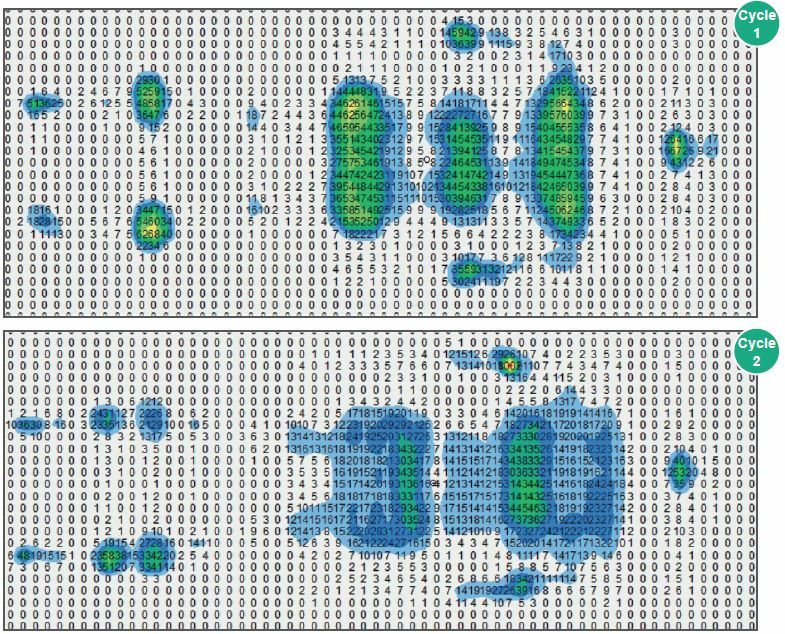 The graphic below shows the pressure distribution when a patient is lying on the Talisman II Overlay. This particular patient is a 44 year old male with a height of 170cm, weighing 82kg.